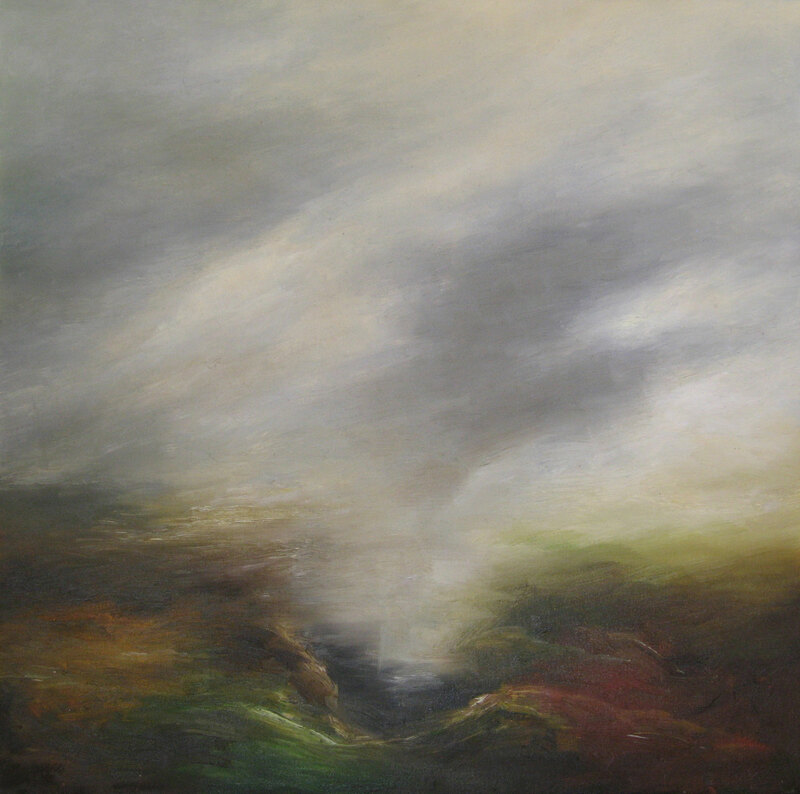 Movement and the dynamics of the natural world are major features of Kerrie Leishman’s atmospheric oil on canvas works. Gestural strokes with a thin brush weave objects and shapes from the same material as the landscape in which they sit. The boats and boxes are buffeted by the elemental force of the wind, and perched between earth and sky, are suggestive of the impermanence within the natural balance of all life. These paintings are enigmatic visions of landscape, textural compositions that resonate with frenetic activity. “Parts of the paintings could be microscopic views of elements of nature, for example the overlapping of grass, the layering and building up of texture disintegrating over time”. Kerrie was born in Victoria and studied Fine Art at the Ballarat College of Advanced Education. She has had fourteen solo exhibitions both in Australia and in London since 1982, and has been involved in over thirty group exhibitions. 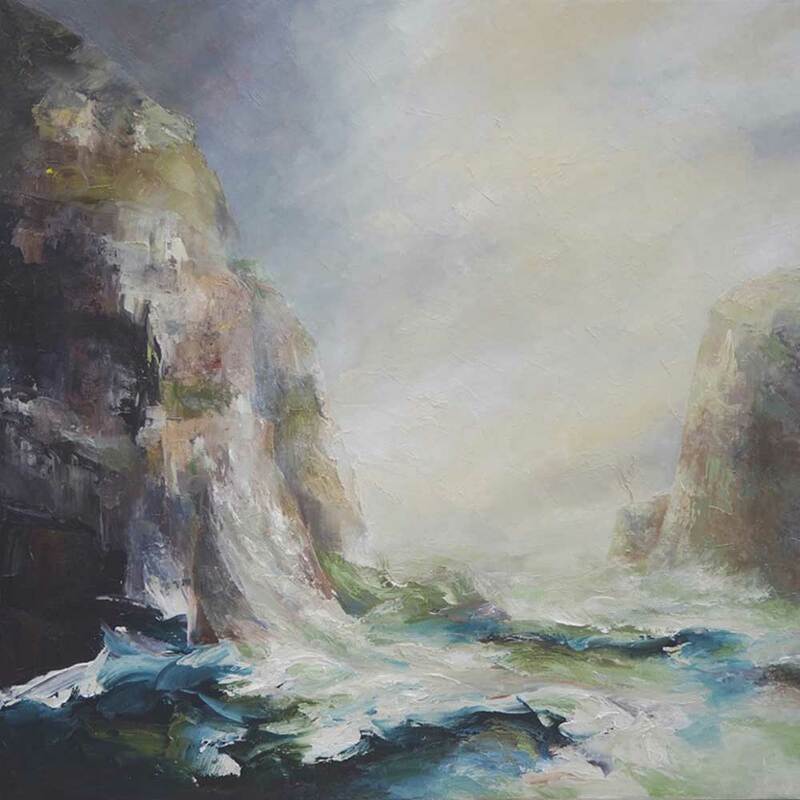 In 1994 she won the highly commended award for her entry in the Blake Prize Exhibition. 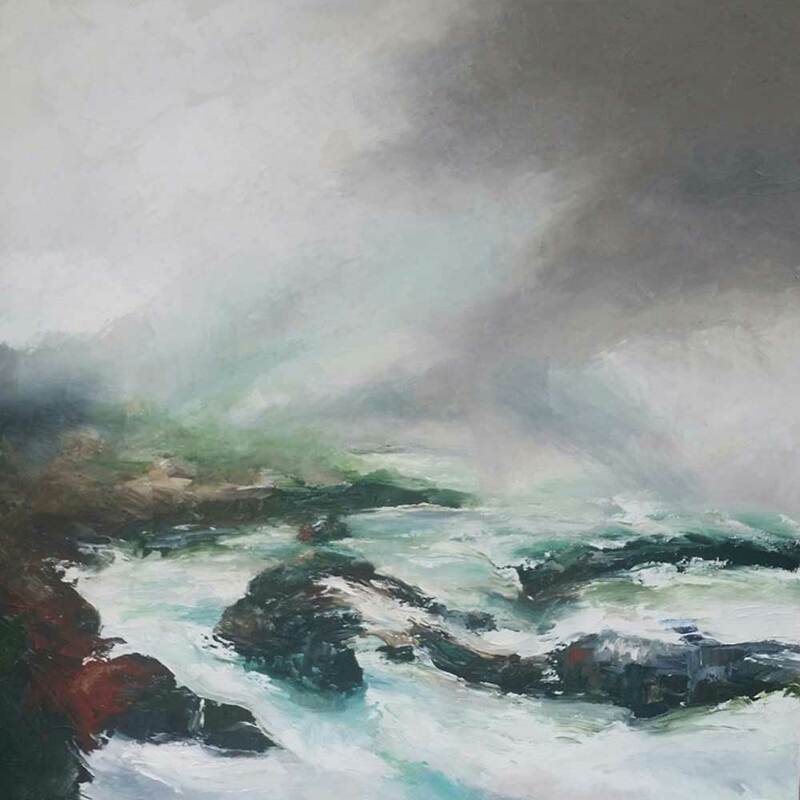 Kerrie’s work is represented by Artbank; Parliament House Collection, Canberra; Howard Smith Shipping; Bundanon Collection; Ballarat Fine Art Gallery and the Hamilton Regional Gallery.